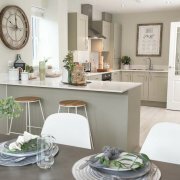 The doors to our stunning new show home at Moorland Vale in Bodmin are now open for prospective homebuyers to come and explore. Our ‘Bellever’ style show home is a three-bedroom townhouse with a spacious kitchen / dining room, separate lounge, and master bedroom arranged over three floors. Moorland Vale offers a selection of 50 new two to four-bedroom detached, semi-detached and terraced homes, with prices starting from £209,000. Situated on the edge of the historic town of Bodmin, Moorland Vale is ideally located for easy access to both the A30 and A38, with Truro and Plymouth both under 33 miles away. For keen explorers, the beautiful Bodmin Beacon Nature Reserve is on the doorstep, with Cornwall’s idyllic seaside beauty spots of Padstow, Par and Newquay between 10 and 23 miles away. As well as offering a good selection of independent and well-known high street shops, Bodmin also has two primary schools, a secondary school and a further education college. 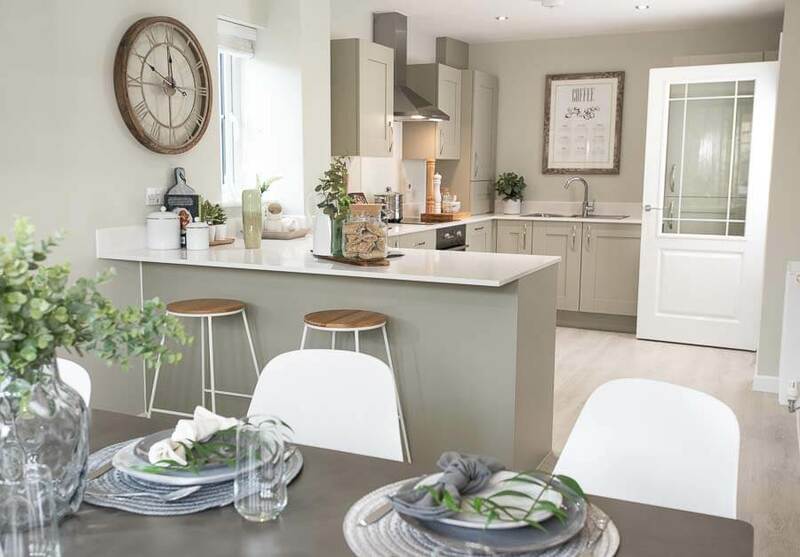 The homes at Moorland Vale are part of our new ‘West Country Collection’ incorporating external features in keeping with the local style and with spacious, modern interior layouts. All homes in the collection feature open plan living areas with on-trend fitted bathroom and kitchens. Our show home is open seven days a week, between 10am – 5pm welcoming visitors to explore the selection of homes available, and to be inspired by the interior layout, decor and designs. For more information or to arrange a viewing, please call our sales advisor on 01208 809489.